Today we did our draw for those who have signed up for our Weekly Updates and the winner is ... Tammy G.! 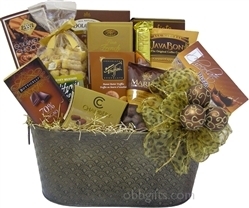 We hope you enjoy the basket Tammy and thanks again for signing up! Merry Christmas! According to statistics released by the Calgary Real Estate Board, the Airdrie Real Estate market had a another strong month in November with 93 MLS® sales compared to 80 in November 2012. Browse bedroom ideas, from loft beds to luxury comforters, and dream in style.